He made a list, and checked it twice. Sadly though, what Santa should have really reviewed is chimney circumferences, and now the jolly old fella is stuck in a precarious position. Fortunately, he has some pointy-toed shoe wearing back-up to assist him, and Santa's Rescue Elf is coming, well... to the rescue! A point-and-click puzzle game by The Gamer Stop, Santa's Rescue Elf is a holly-jolly bit of Christmas fun. 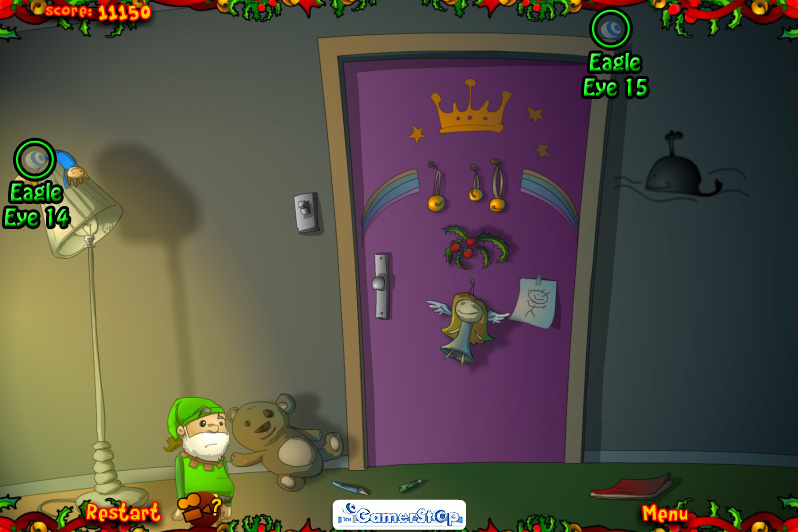 Click on objects and characters in each level to use or interact with them, prepping the house for Christmas morning without being spotted, and helping St. Nick get out of that dang chimney. 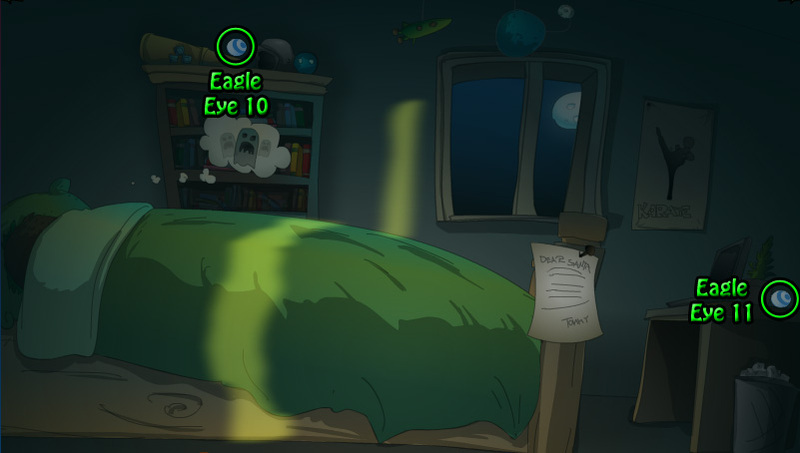 Each level will give you a score based on how many times you clicked, and you can find Eagle Eye bonuses if you spot the Gamer Stop orbs hidden around. 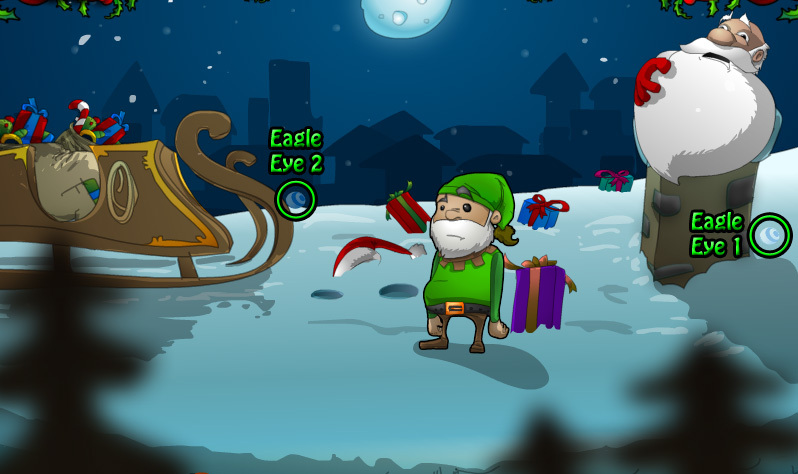 Santa's Rescue Elf has some really expressive cartoon art that really adds to its sense of the holiday spirit. 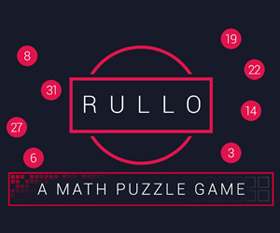 Some of the puzzle solutions are a little obtuse, mainly since the game doesn't always make it clear why you received a game over. (Remember, the Rescue Elf has to do his job without stirring any creature in the house!) Still, you can't help but want the little guy to save the day, and anyone in need of a little Christmas cheer shouldn't wait to open it up. 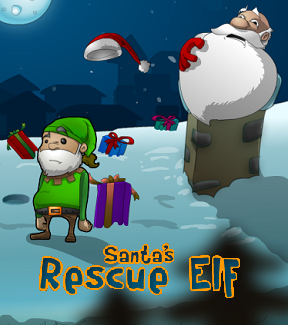 Santa's Rescue Elf Walkthrough now available! 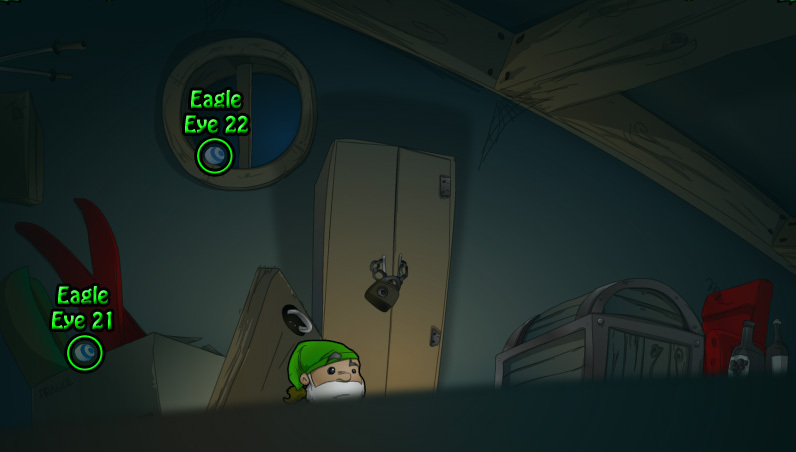 Locate Eagle Eye 29/30 underneath the �GamerStop� logo. You have to click the tiny space between the logo and the bottom of the screen, around the middle. 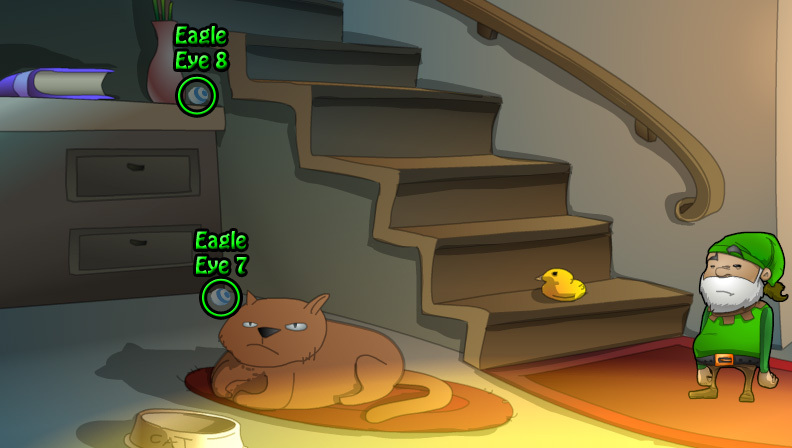 Locate Eagle Eye 30/30 underneath the �Menu� button. 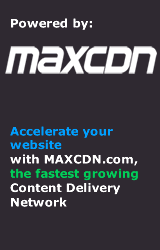 You have to click somewhat below and to the right of it. Pick up the red hat to put it on Santa's head. 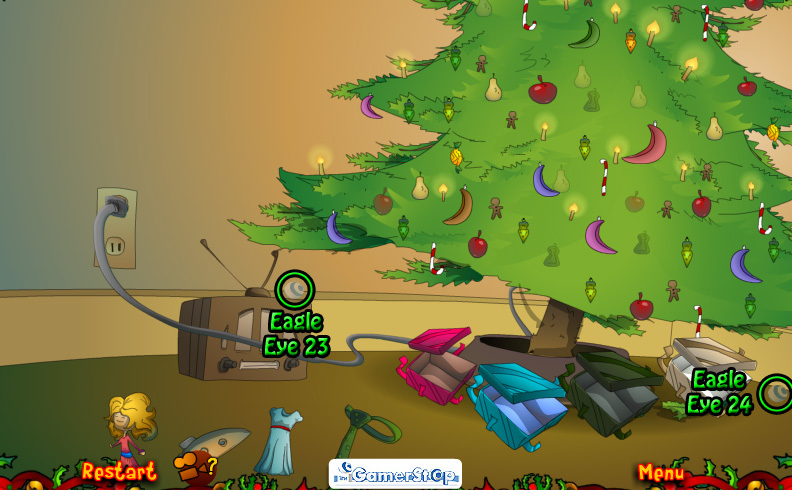 Collect all four of the presents on the rooftop. Click the rope at the side of the sleigh three times to hang it off the side of the roof. Click the arrow to complete the level. Click the rope three times to slide down to the bottom. Move the carrot in front of the window to the lower bird house. Break off the lowest tree branch, then use it to open the latch on the window. Open the window and click the elf to hop through it. Click the outlet to insert the plug and light the room. Move all three of the ornaments on the floor. 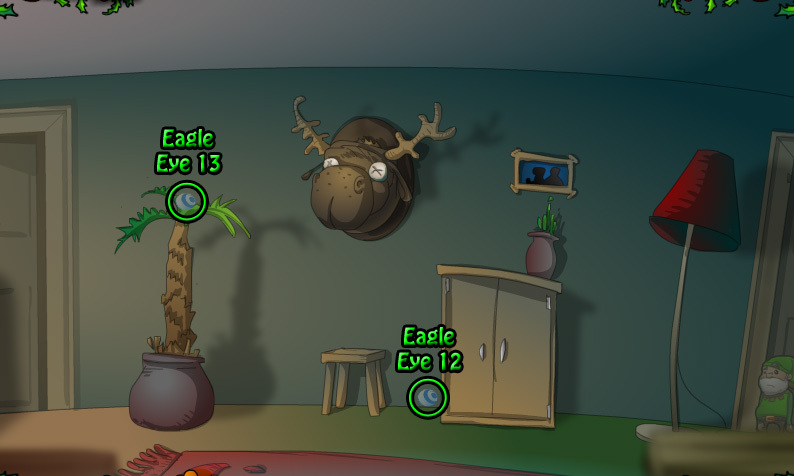 Click the elf to hop down into the room. Click the top of the window to close it. Take the milk and the three cookies from the table. Remove the rubber duckie from the bottom step. Click the elf to step on to the stairs. Click the cat's bowl to pour the milk into it. 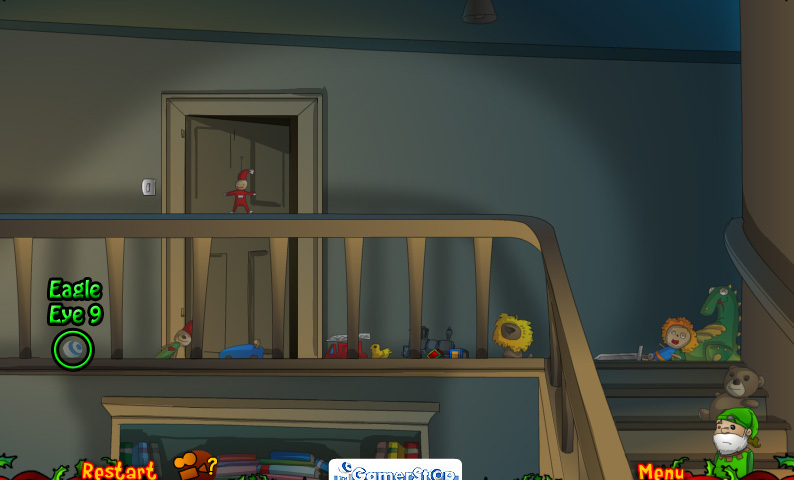 Remove the toy sword, doll, lizard, and teddy bear from the stairs as well as the blue toy car in front of the door. 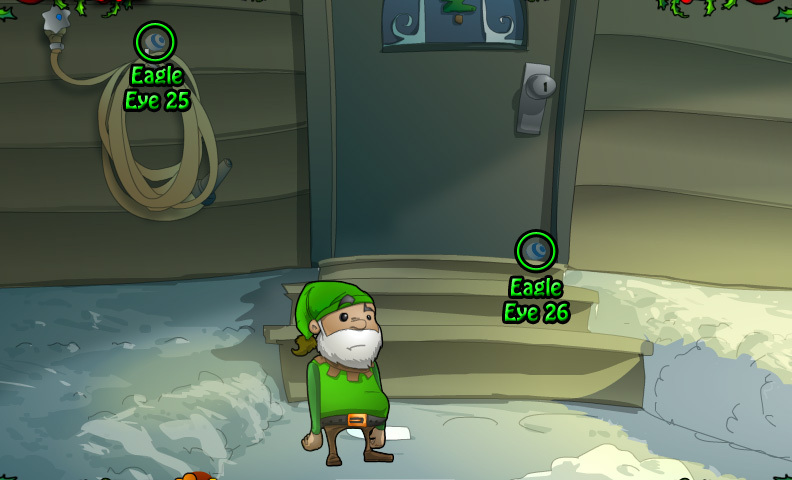 Click the elf to go up the stairs. 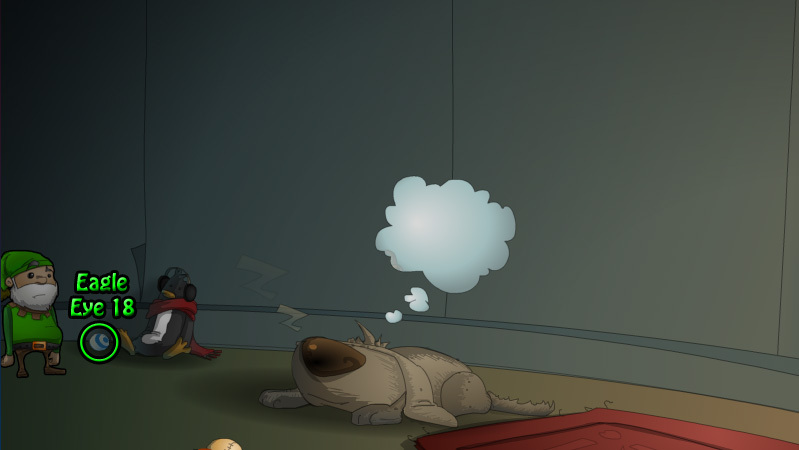 Click the child's thought bubble to get rid of his nightmare. Take the letter pinned to the end of the bed. 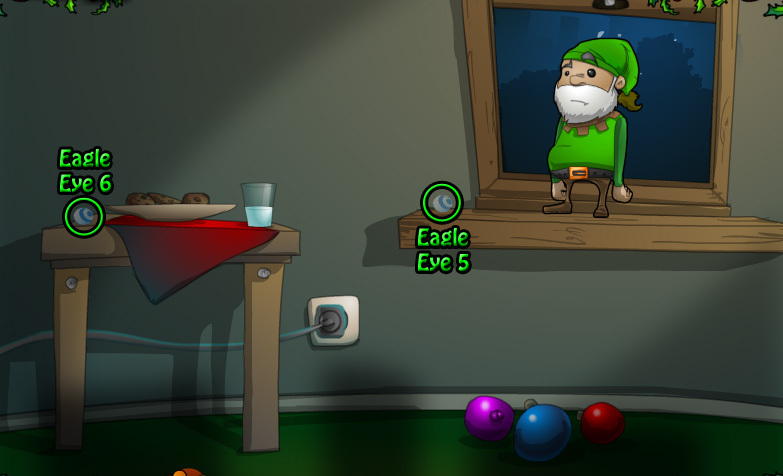 Click the elf to hide behind objects as you move from the right side to the left side of the room. Don't move while you can see the shadows of the man and woman projected across the wall or you will be caught and have to restart. Move the crayons on the floor away from the doorway. Take off all three of the bells hanging on the door. Click the pillows on the floor to stack them up next to the rocking horse. 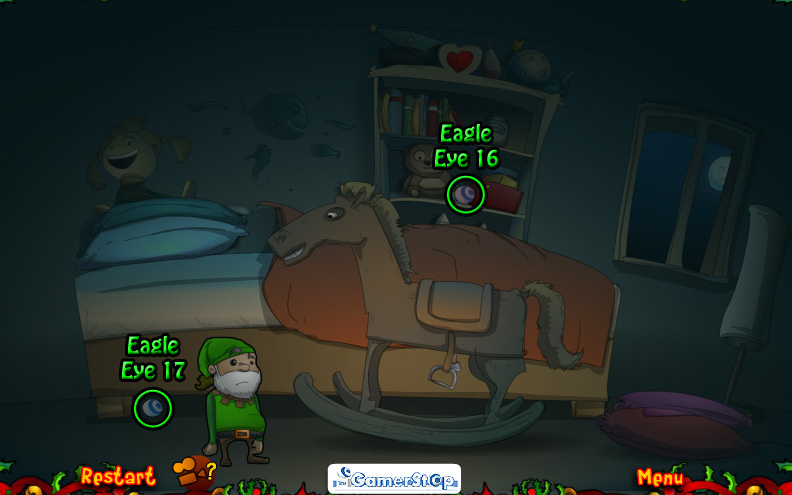 Click the elf four times to move him onto the bed. Lift the doll and pillows on the bed to uncover the note. Take the paper, then place the doll and pillows back down. Click the earmuffs on the penguin twice to remove them. Click the dog to place the earmuffs on its head. Click the elf to pull out the toy lizard. Flip the lizard upwards towards the ladder. Click the bottom of the ladder to jump and hook the toy lizard on the bottom rung. Click the ladder to pull it down. Open the hatch at the top of the ladder. Remove the padlock on the cabinet. Open the cabinet doors to look inside. Take both stacks of fireworks from the box on the shelf. Click the outlet to plug in the lights. Click each present to select it, then click the matching colored gift box to combine the pair. The pink doll goes in the pink box. The blue dress goes in the blue box. The green tie goes in the green box. The beige spaceship goes in the beige box. Click the valve at the top of the hose twice to create an icy stairway. 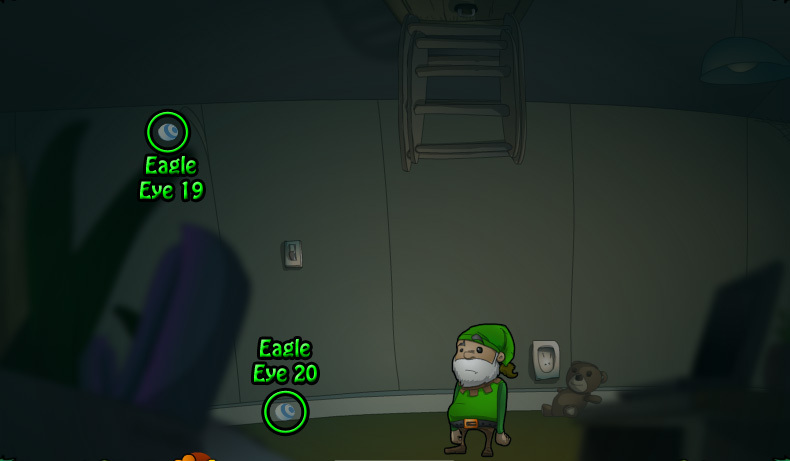 Click the elf three times to jump to the top. Click the chimney to attach the fireworks. 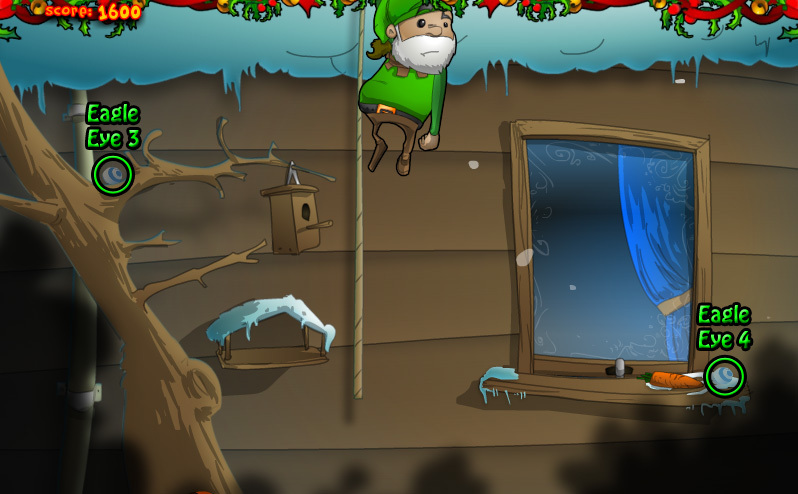 Remove the rope from the sleigh, then click it to tie the rope around the chimney. Click the elf to feed the cookies to Santa. Click the fireworks to light them. Thanks to Bill for his help with the walkthrough! The walkthrough doesn't mention where the blue robot easter eggs are; any chance of an update? 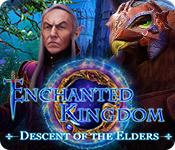 This game seems fun at first, but lacks quite a bit of polish to make it truly fun to play. I agree User. Sometimes simple is fun, but this seems almost infantile. Also, I do the levels EXACTLY how the youtube and JIG walkthroughs demonstrate, but still only receive two bells. Feel I'm being jipped out of a perfect run. On level 5, there's one underneath the �GamerStop� logo. You have to click the tiny space between the logo and the bottom of the screen, around the middle. 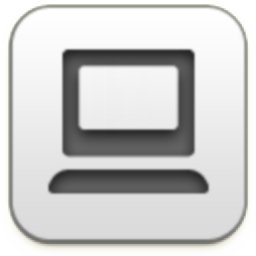 On level 10, there's one underneath the �Menu� button. You have to click somewhat below and to the right of it. My understanding is that only the number score at the upper left corner is influenced by the clicks and how you're following the steps. I believe your bell score, on the other hand, is decided by a hidden timer. From what I can tell, losing a bell by going too slowly on one level will also affect the later levels from that point.